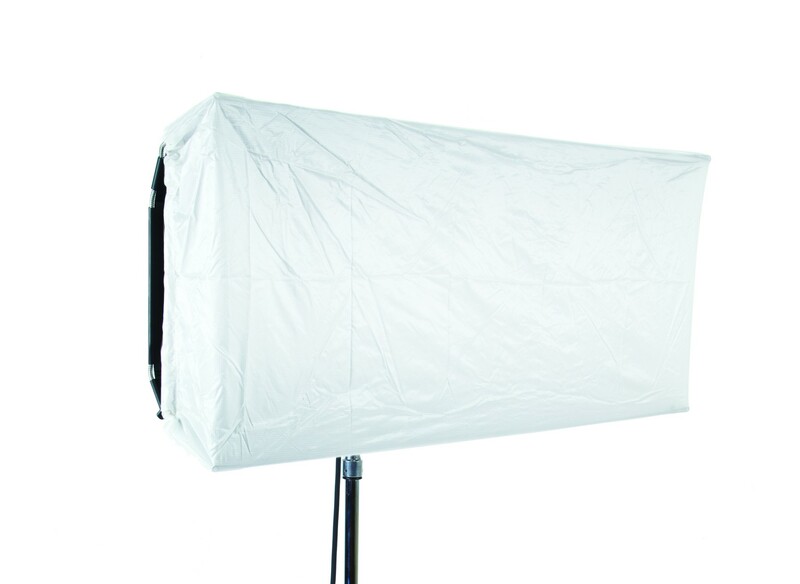 The Flozier is cloth material that slips over the front of the fixture and provides a large area of white diffusion. The resulting larger area of diffusion further softens the light. This is especially useful when dealing with reflective subject matter as a means of diffusing the reflection of the lamps in the fixture. The harshness of lamp reflections in glasses is easily avoided. The Flozier is attached by stretching the two elastic cords around each end of the fixture and is available in two densities, full and half.